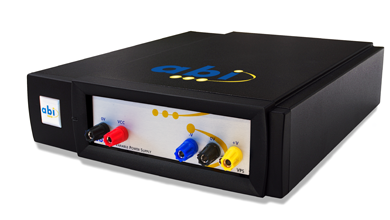 The SYSTEM 8 Variable Power Supply provides the necessary supply voltages to the unit under test and allows other SYSTEM 8 modules to be utilised in fault-finding. As it is controlled by the SYSTEM 8 software, the VPS can be switched on/off automatically and the required voltages can be modified within the TestFlow. The three output voltages are variable in both voltage and current making the Variable Power Supply suitable for a wide variety of applications. Note: only available in a SYSTEM 8 MultiLink or standard external case.